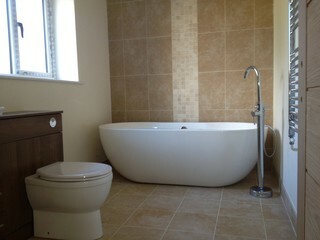 We provide a full Design & Build Home Refurbishment service. 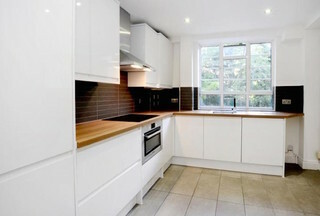 You can transform your home by refurbishing, extending or converting your current property. Simply updating the internal view of your home can make a huge improvement. In an entire home refurbishment, we combine expansion, conversions of lofts, garages and structural alterations. Home Refurbishment does not stop only at rebuilding and adding more space, it also implies modernising of items like electrics, plumbing, Bathrooms, Kitchens or the outside of the property. New Kitchen installations can certainly have a major impact internally. It is important to have a kitchen which is tailored to your style both aesthetically and functionally. It must not only suit your taste, but suit the way you cook. As a specialised Kitchen Contractor we make bespoke units & doors at our workshop, this way you can have your very own style of kitchen that no off street supplier can match. A bathroom needs to be practical and functional, we create exclusive bespoke bathroom designs for each individual customer, we like to ensure that your bathing experience is second to none. We install top of the range fixtures and fittings, state of the art technology and stunning designs combine to create your ultimate luxury bathroom. We project manage a vast amount of commercial installations through different housing organisations and local councils. We do prefer to work closely with all home owners, this is where our creative input can really make a difference. We will always provide reasonable options to fit the budget you may have, whether that’s for a family bathroom or even as small as a cloakroom install.